Is your backyard ready for the summer yet? While you should have got your pool and the grill ready by now, there is something more than you’d want to do, to get yourself into the spirit of summer. String lights or the more commonly known fairy lights are your answer to magically transform your backyard all through summer until the fall. They are cheap, cheery, low maintenance and come in all sizes, shapes, and colors. Besides that, in addition to the traditional ‘plug-in, you can find string lights that are powered by a battery, LED or even solar. 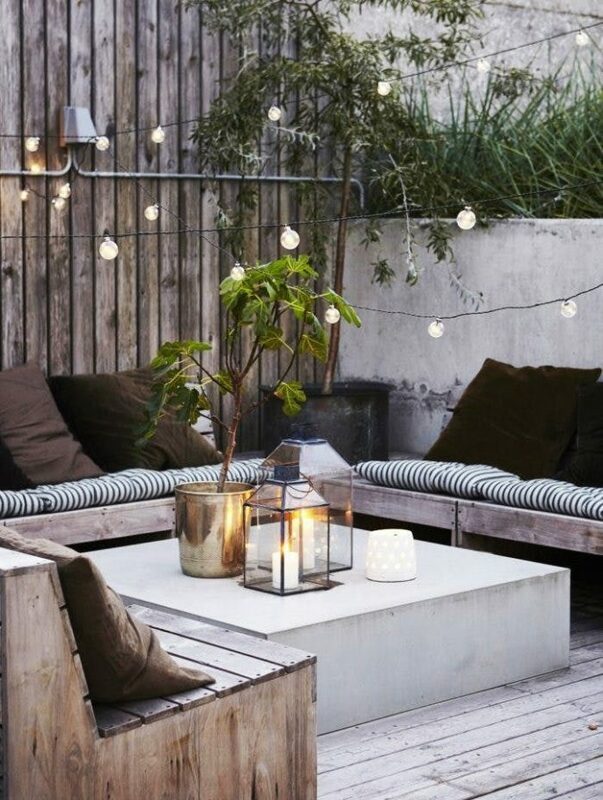 Let’s take a quick look at some string lights that ultimately enhance the look and feel of a regular outside space for backyard entertaining on summer nights. The Edison bulbs are back! These string lights are back in style – get to create your own Brooklyn style statement with the solar powered version of the Edison string lights, in a size that suits you. Create a stunning light pole around your outdoor seating area, or simply by the pool, and enjoy the feel of festivity on a summer evening. Are you looking out for something creative to do with your fairy string lights? If you have been thinking too deep, then breathe and take a look at this one. An absolutely stunning idea to sparkle your mood and lighten up your backyard. It is beautifully rustic with a farmhouse feel to it. Besides, it also does a great job of highlighting your garden labor. Mason Jars have come a long way and their charm remains an exquisite addition to any landscape. Excitingly enough, they now come as string lights too. Highlight the roof of your deck, over your hammock or hang it across trees to recreate a reading nook, your choices are endless. Plus, if you’re not the ‘DIY’ person, but still crave the appearance, this one is for you. When we mentioned that string lights come in all sizes and shapes, we meant it. Meet the iconic, tropical themed decor for 2018 – pineapples. Chic, cute and elegant, these decorative LED string lights illuminate the hidden corners of your backyard. These lights can just be the right choice for your perfect summer pool party. Inexpensive, surprisingly festive, exotic and perky – these Paper Lantern lights bring life not only to your indoors but also to your backyard, in an instant. The paper lantern string lights are a popular choice, not only in the traditional whites but also in a multitude of bright colors. String lights are an incredible way to accentuate any mood on a budget and we hope that our top 5 string light ideas have inspired you.